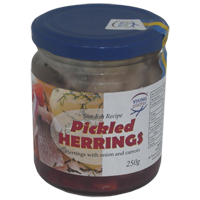 We have had a new shipment of Herrings, Cod Roe and Mackerel to keep you during the winter period. Queens Blend Jam - a beautiful mix of two berries that brings you a unique flavour. Blueberry Jam - Jam made by the fantastic European Blueberry also known as the bilberry (or Blabar). To help you get though the darkest Month of the year we have also taken 20% off all candle holders. To a Swede it feels like Christmas is around the corner when I go outside, Brrrr. So it doesn't actually feel strange to start planning for Christmas already. 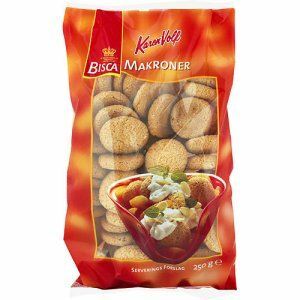 We are about to place an order from Sweden and Norway (yay, we have found a Norwegian supplier!) at the end of June. Please let us know what you are longing for. You can let us know by sending an email, talk to us of Facebook or on the contact page on this website. We do listen and we are trying to get a small amount of almost everything you wish for. But sometimes our suppliers BBF dates doesn't make it possible. Blueberries(Vaccinium cyanococcus) are well-known berries commonly eaten across the world. 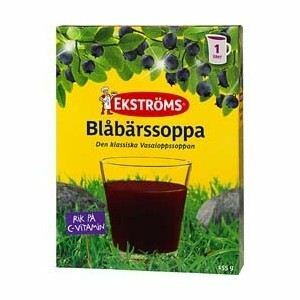 Bilberries(Vaccinium myrtillus) however, are more commonly consumed in Europe, hence the ambiguous name “European blueberry” or blaeberry. Bilberries and blueberries have both been used as traditional medicine, however bilberry has been shown to be far more effective by modern scientific and clinical investigations. This is due to the fact that bilberries contain a significantly higher concentration of the active substances anthocyanins (a form of isoflavonoids) than blueberries, along with a higher antioxidant potential. To date, there is evidence that anthocyanins reduce cell damage caused by oxidative stress, while protecting cardiovascular function, and possessing anti-inflammatory properties. For eye health, bilberry provides many protective effects against vision impairments and blindness. The health benefits of bilberry have long been known, and more recently justified in modern scientific literature with associated research. Preliminary clinical studies suggest that bilberry reduces symptoms from occurring after excessive use of computer terminals, protects against various visual disturbances such as glaucoma, reduces the visually debilitating occurrence of commonly occurring cataracts and reduces the occurrence of diabetic retinopathy. All products from SweNZ Taste (Bluberry Soup, Blueberry Concentrate, Blueberry Jam, Queens Blend Jam) are all made from the European Blueberry - Bilberry, but the labels will just state blueberry. 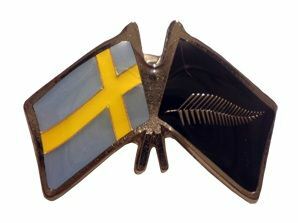 The National day of Sweden in celebrated on the 6 of June each day. 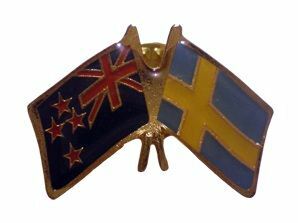 Have you got you Friendship pin yet? 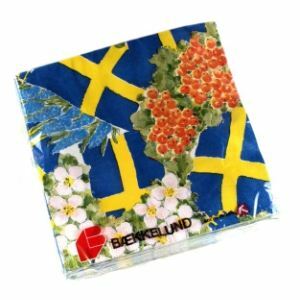 We also have some beautiful Floral Flag serviettes to brighten the day! This month we have quite a few sweet products coming up with short Best Before Date. For more information on Best Before vs Expiry Date please see our Best Before page. Please note SweNZ Taste does NOT sell Expired Products only Products that have Past or is close to Best Before Date. Green peppercorns have a flavor that can be described as piquant and fresh, combined with an aroma that is bright and lively. Dried green peppercorns are the unripe berries of the Piper nigrum. The plant that produces this fresher tasting pepper belongs to the piperaceae plant family. Of the three types of pepper produced by the vine Piper nigrum, green peppercorns are harvested earliest, when the berries have not yet ripened. The other two forms produced by this evergreen vine are the more common black and white pepper. In addition to the pungent bite associated with black pepper, green peppercorns deliver a sharp, acidic flavor that makes them a welcome addition to rich foods like duck, venison and cream sauces. 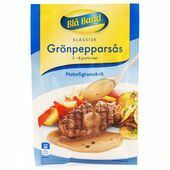 Green Peppercorn Sauce with it's distinctive character is the sauce to match any occasion. Works well with steak, meatloaf but also a great compliment to Chicken or cold cuts. Tips to try: Make the sauce according to instruction on the packet. Add 1 tablespoon of blue cheese and 1 tablespoon cream for an exciting sauce.